Looking for some activities the whole family can enjoy while you’re visiting Columbia this summer? Of course you are! Fortunately, summer in Columbia means hot weather and cool activities for kids of all ages. Here are a couple of summer favorites that heat up Columbia summers. 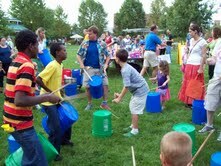 Kids of all ages love the Family Fun Fests! Mark the third Wednesday of the month on your calendar for the Parks and Recreation sponsored Family Fun Fests! Each month from 6-8 p.m., Flat Branch Park is transformed, with a new theme for each month (June is Explore Outdoors!) for kids of all ages. Entertainment for the entire family will feature music, special performances, and art and hands-on activities. Outdoor Movies in the Park! A perfect night for a movie, don’t you think? Grab a chair, a blanket and…don’t forget your family! Outdoor Movies in the Park take advantage of Columbia’s ample green space and show movies after dark in the park. The next movie is coming up Friday, June 8th…The Muppets! It’s only $2 per person and concessions are available. Don’t miss the chance for quality family time in a quality setting. These are just a couple of great examples of family fun you can have when you visit Columbia, but make sure you check out of calendar of events before you come. You never know what might be heating up in Columbia! -An independent film enjoyed on a comfy couch? -A delicious Reuben sandwich made with fresh-baked bread, house-made sauerkraut, house-made dressing and corned beef, and melted cheese? -A place to relax, drink some coffee and check your email? -Beautiful local art displayed for patrons to enjoy? This local treasure in downtown Columbia is a favorite hangout for everyone from college students cramming for a final to retirees enjoying a documentary. With three businesses (Ragtag Cinema, Uprise Bakery and 9th Street Video) all housed in one complex, this place is always bustling! With a diverse schedule of independent films, documentaries and series of shorts, Ragtag Cinema has established itself as Columbia’s arthouse theater. Two theater spaces allow Ragtag to show Oscar nominated shorts in one room and a football documentary in the other. 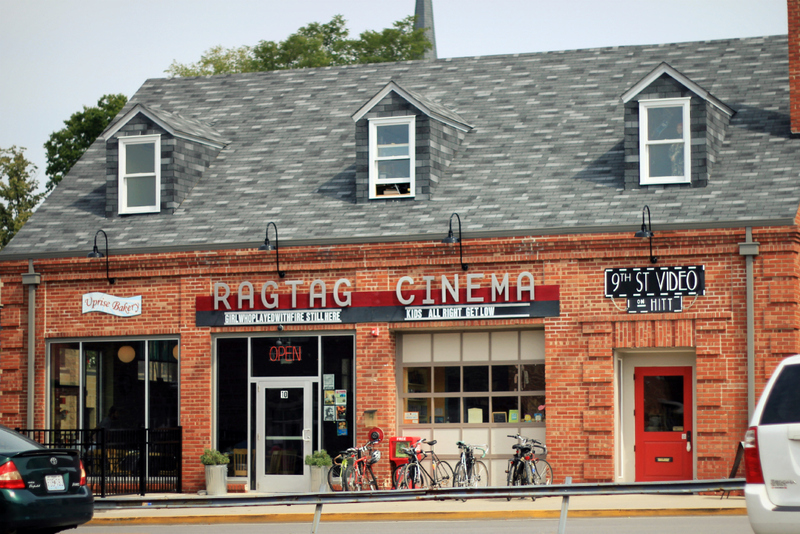 Ragtag also hosts a variety of other events each year including concerts, trivia nights and, most notably, serves as the home base for the True/False Film Festival. Check out the calendar to find out what’s playing this weekend. As if an amazing, one-of-a-kind theater wasn’t enough, Uprise Bakery is ready for you to eat (and drink!) through your film. Everything at Uprise is made from scratch with the best (often local) ingredients. Start your day at Uprise with coffee and a delicious homemade pastry, then come back for a sandwich and a beer during your movie. And yes, you can take that beer and sandwich into the theater with you! So put it on your to-do list when you come to Columbia, to at least make a stop by Ragtag and Uprise. We’re confident this Uniquely Columbia spot will fast become one of your favorites too.